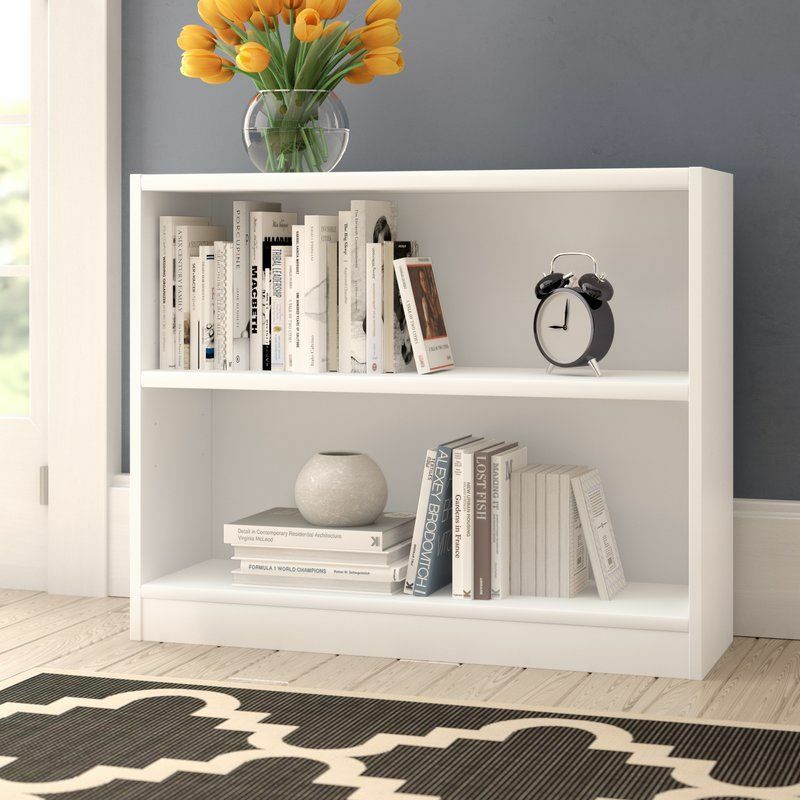 “Once we know what the volume is,” says Karin Socci, a KonMari Master Consultant and founder of The Serene Home, “then we really have to be strategic about space-planning, especially in New York.” To make sure you don’t end up with unruly piles of books everywhere and help you find a stylish book storage solution that actually works for you, we spoke with three KonMari–certified consultants and two professional organizers about their favorite book storage ideas and products. 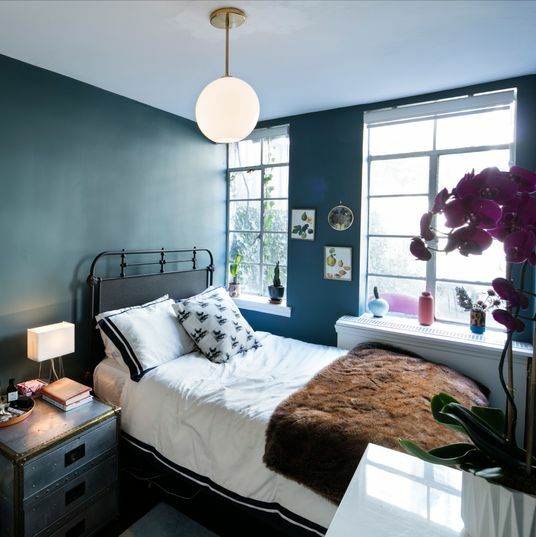 “In general, across all categories, vertical storage is recommended for most things, because it makes it more alive and less stagnant,” says Morrissey. 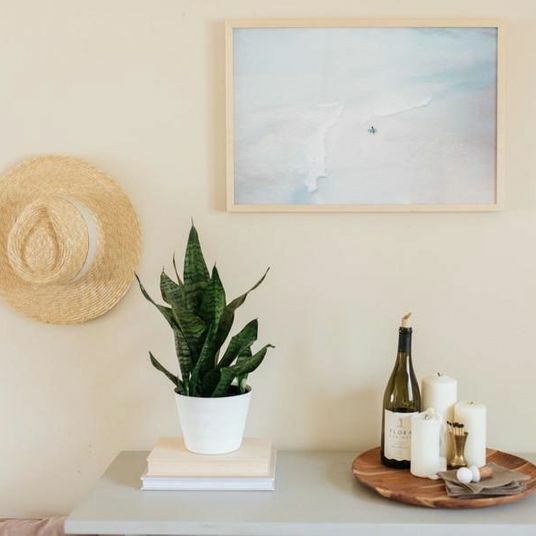 That’s why most of the organizers recommended some kind of wall-mounted solution, though Socci emphasizes, “We really look to making sure that it’s appealing and beautiful and restful and peaceful to look at” in addition to functional, especially in the KonMari method. 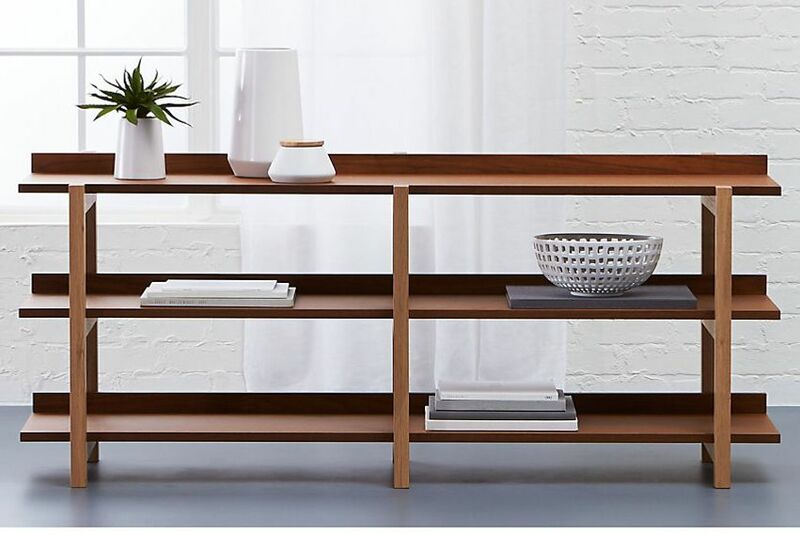 Lisa Zaslow, a New York–based professional organizer and founder of Gotham Organizers, likes modular, wall-mounted shelves, but notes that it’s important to be careful. 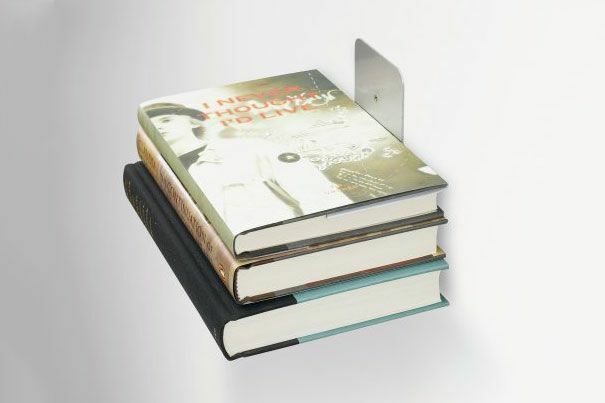 “They kind of float, which looks great and is very minimalist, but your books can fall off the end if you don’t have bookends,” she warns. 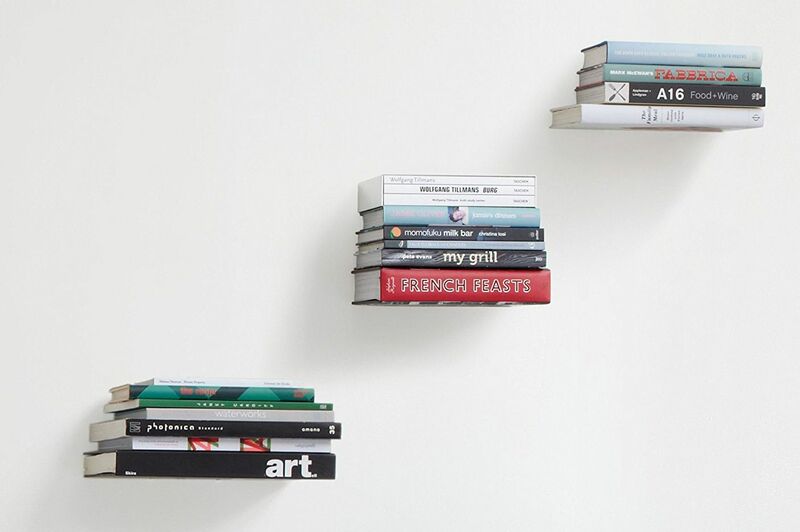 That’s one reason she likes these floating shelves from Italian company Teebooks, which have built-in bookends. 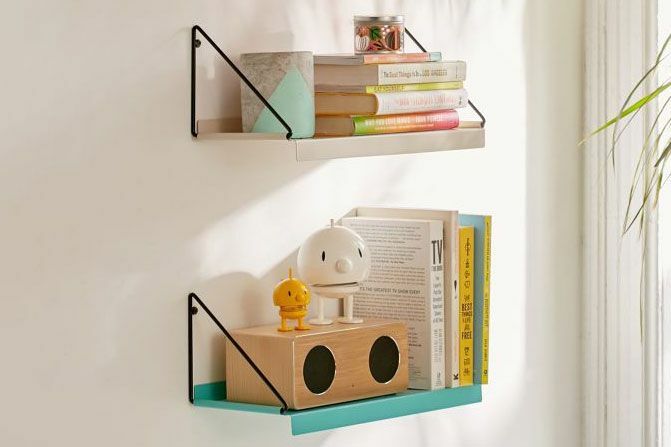 Though shorter than the ones from Teebooks, these metal wall shelves from Urban Outfitters have a similar floating feel and practical brackets that’ll also keep books in line. 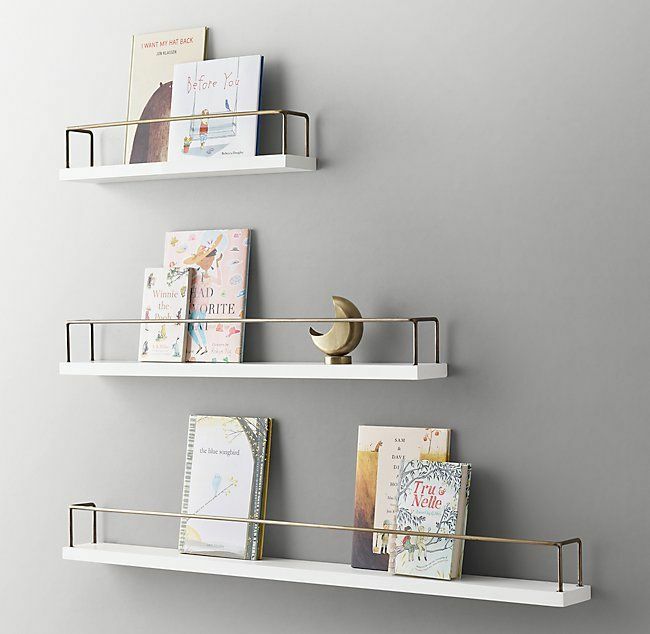 If you do need bookends for a floating, wall-mounted shelf that doesn’t have them, Zaslow likes these simple metal ones. 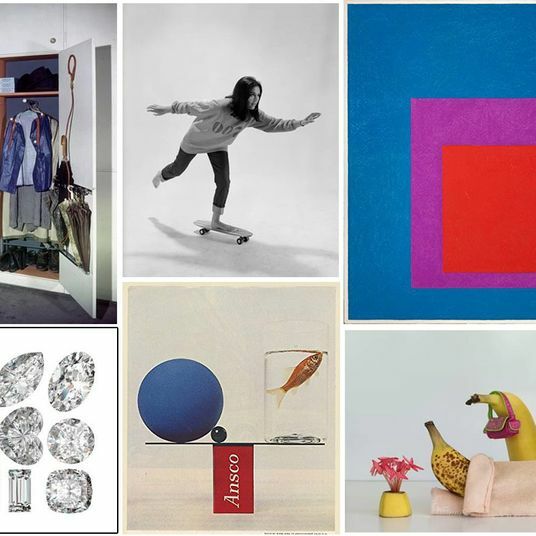 “In KonMari, there’s the idea that like things should be together, but also that things should be where you use them,” says Socci. 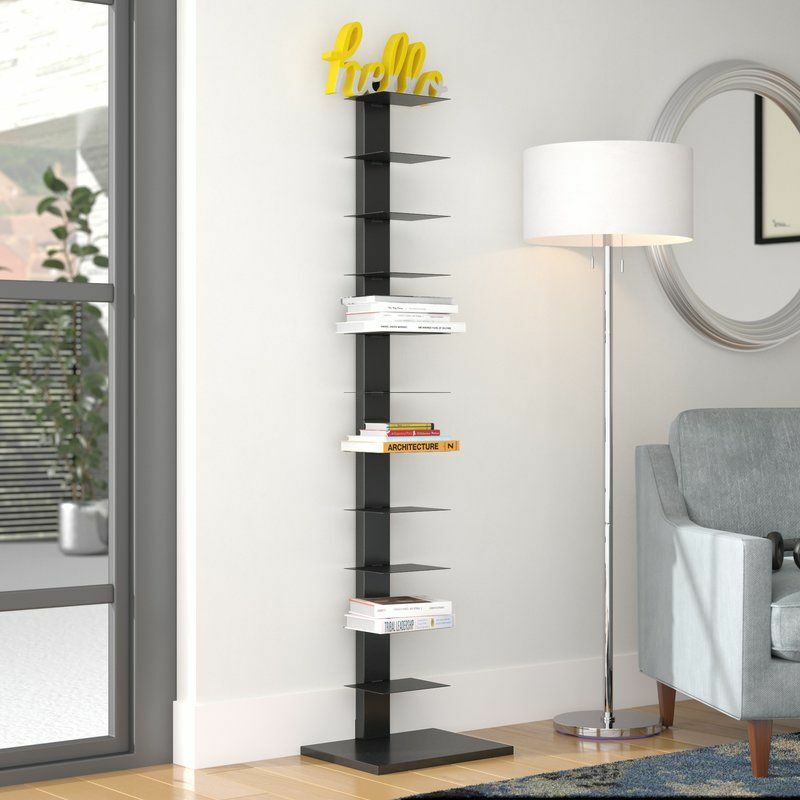 “So if you read at night, then obviously you’re going to have some rotation of books by your bed, or at your nightstand.” To wrangle books in that corner, Laura Cattano, a Brooklyn-based professional organizer, likes the Umbra Conceal bookshelf. 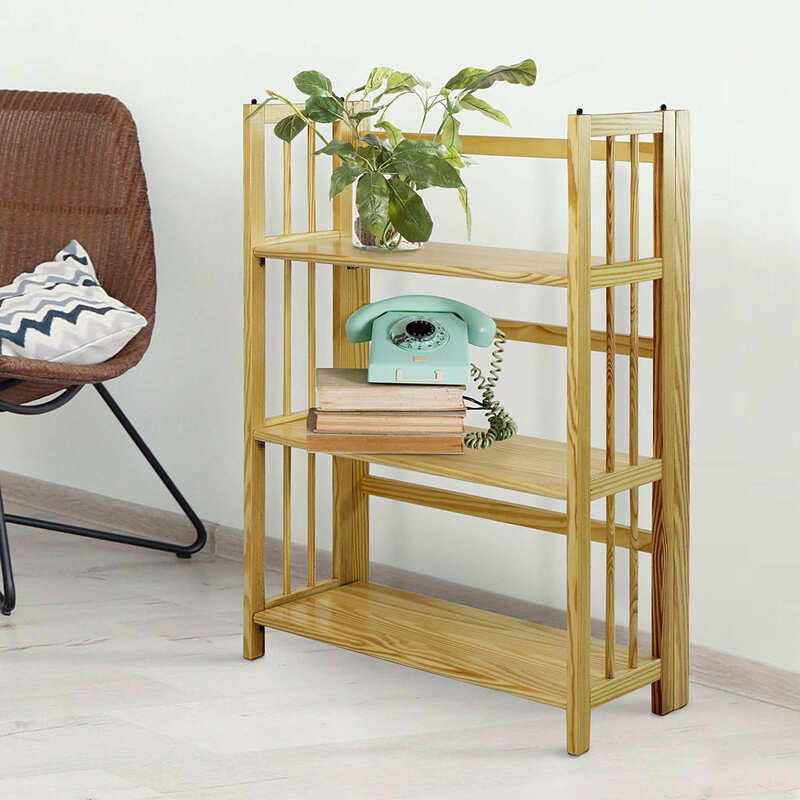 It’s an easy-to-install storage solution for the couple of books that you’re in the middle of, so you can avoid piling them on your floor or nightstand. 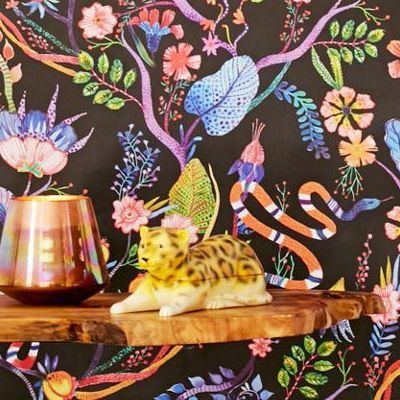 Cattano likes these shelves from Restoration Hardware’s children’s line, noting that the shallow design is great for a tight kitchen or above a desk. 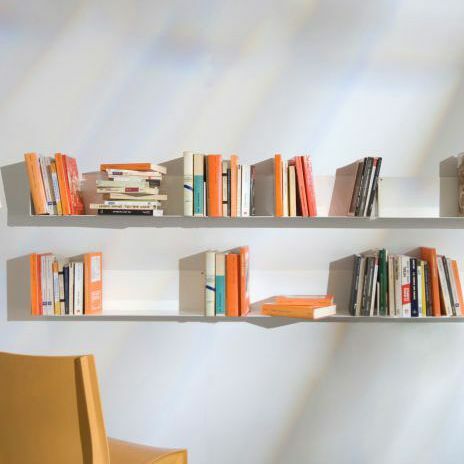 Cattano describes it as a “little rotating library” for books that you’re currently referencing or reading. 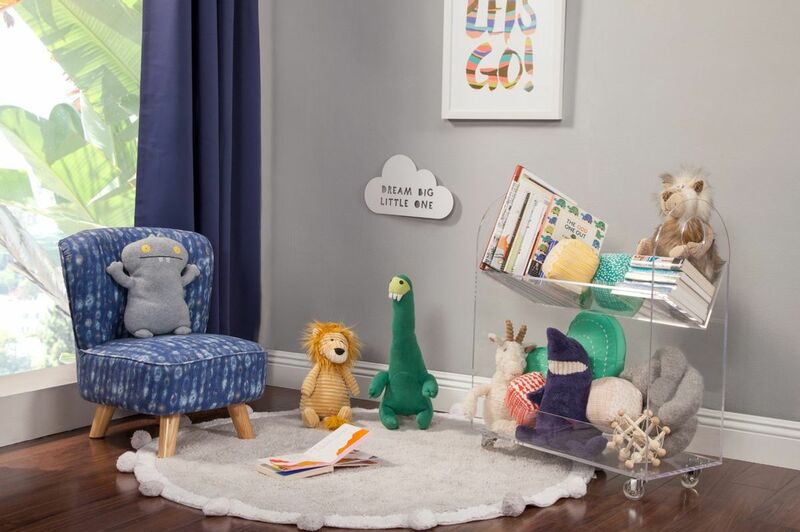 There’s also this shallow, clear acrylic bookshelf that will make books look like they’re floating. 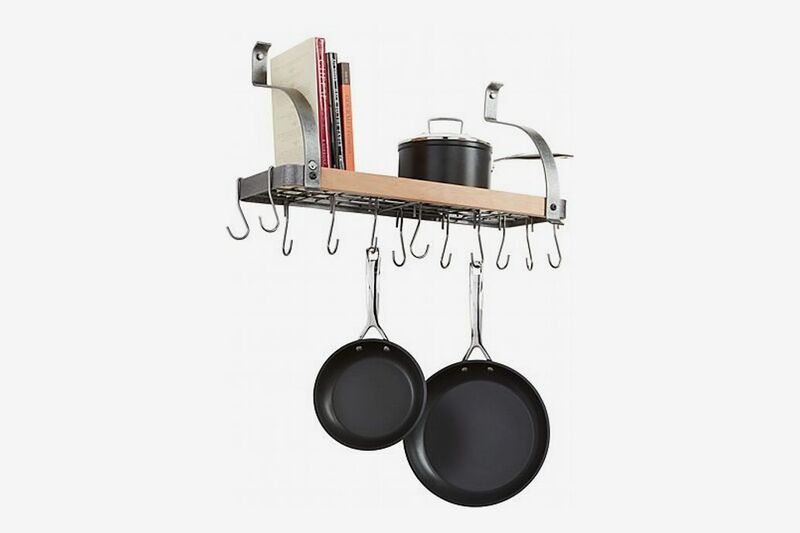 In line with Kondo’s organizing principle of keeping things where you use them, Dooley thinks keeping cookbooks in the kitchen can work “if everything else is organized to display, and plus, it’s really easy to access.” For that, Zaslow likes this pot rack from Crate and Barrel, which does double-duty as storage. 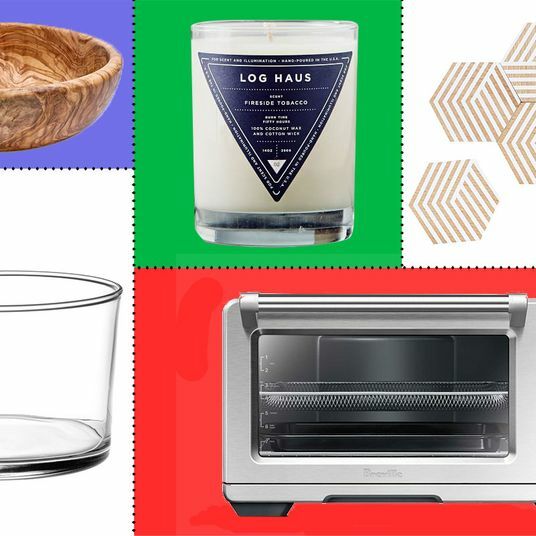 “It has a shelf above it that you can free up some cabinet space [with] by hanging your pots, but there’s also enough room for a decent-sized cookbook collection on top,” she says. 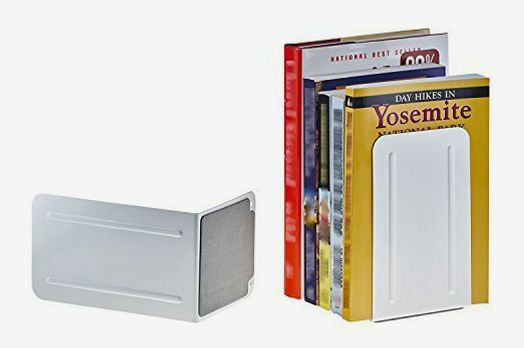 Another storage option for books that are actively being read — also taken straight from the kids’ section — is a book caddy. 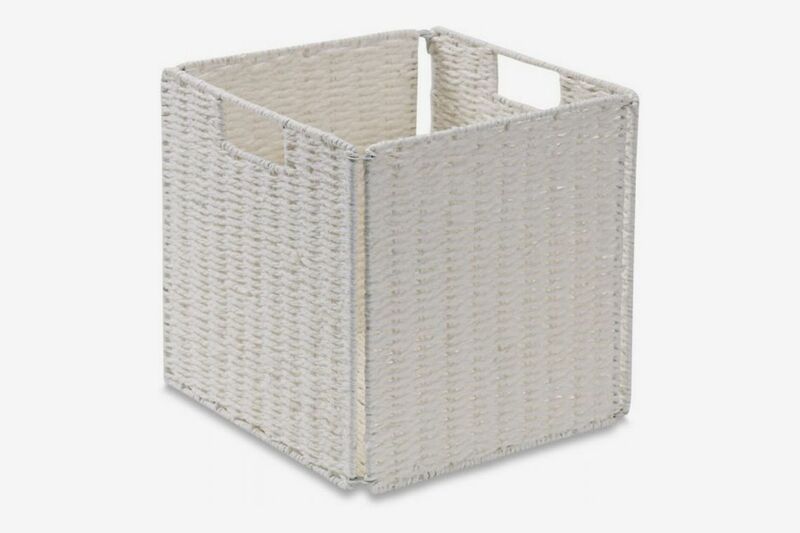 “These little caddies could go at the foot of the bed, in a corner,” Zaslow says. 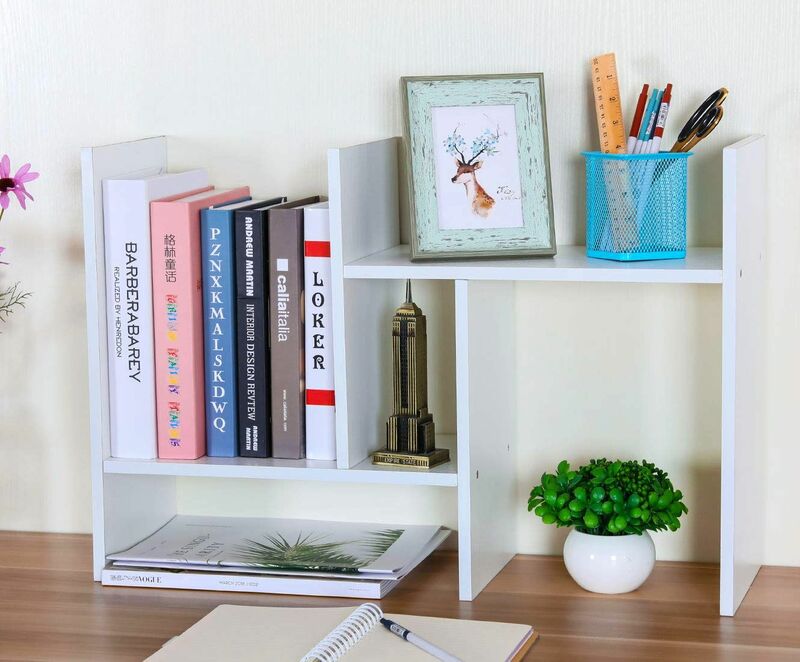 “And what’s so cool, because it’s acrylic, it doesn’t look like it takes up much space.” This is also a great option for anyone looking to organize a home office, even if they don’t have a proper desk; it’s a compact place to keep all your work-related books, gadgets, and documents together. 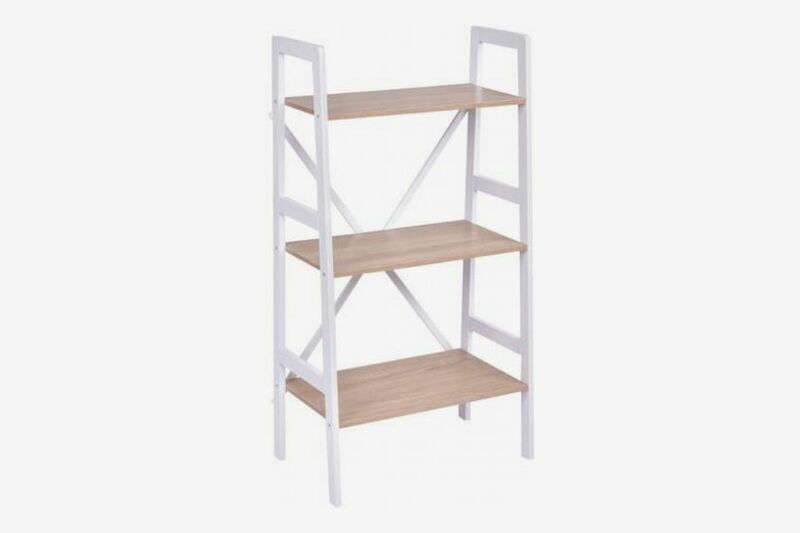 However, if you do have a desk, you can also get a tabletop bookshelf. 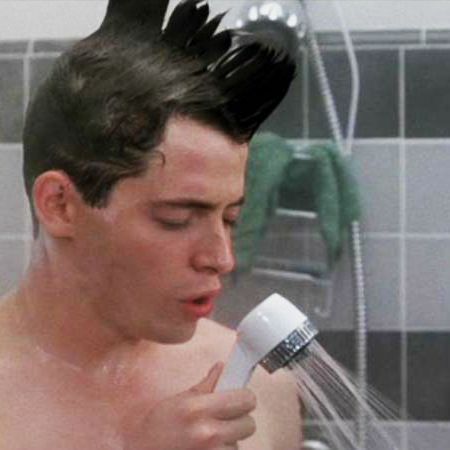 “This is nice if you’re somebody who has a lot of in-process books,” says Zaslow. 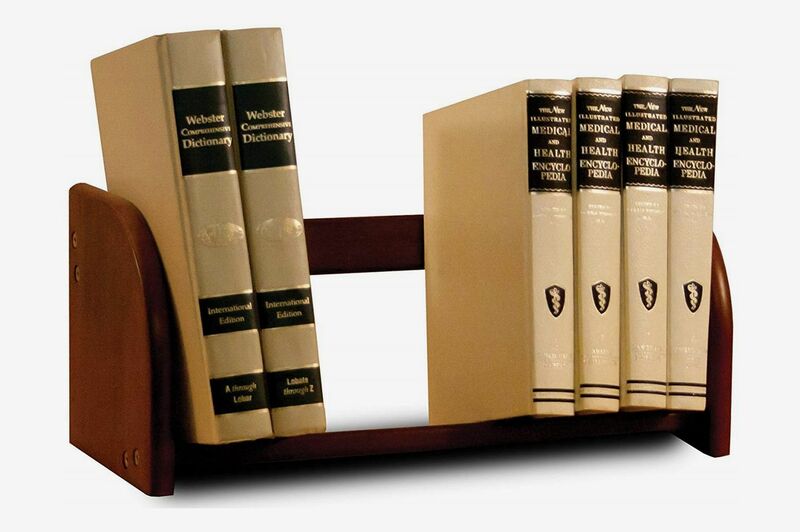 Cattano likes this desktop bookshelf because it’s fully adjustable in order to fit books of any size. 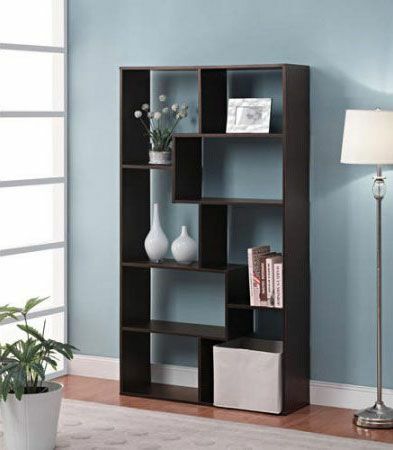 And although it’s incredibly obvious, sometimes you just need a bookshelf to keep your books organized, and there are plenty of affordable options for even the smallest spaces. 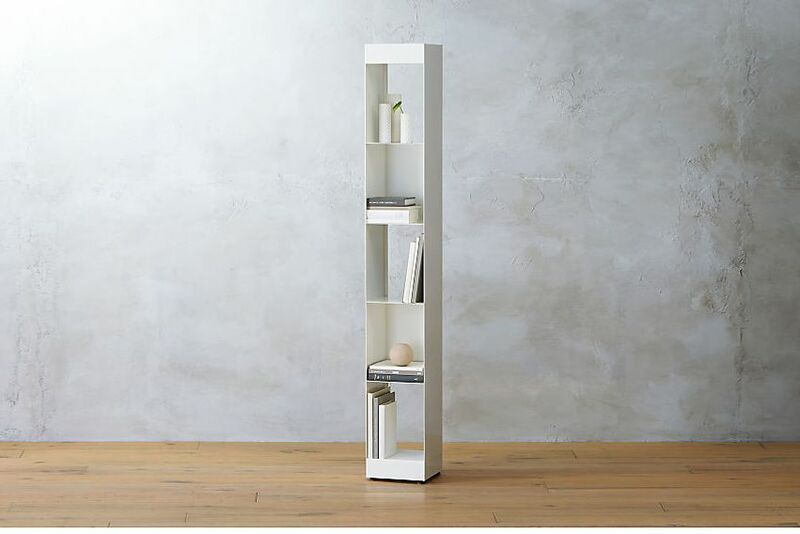 Zaslow especially likes bookshelves that are tall and slim, like this one from Blu Dot, which she describes as “the skinniest one I have ever seen.” It’s not going to hold the most books, she admits, “but if you really have almost no space, I have never seen anything smaller,” Zaslow says. 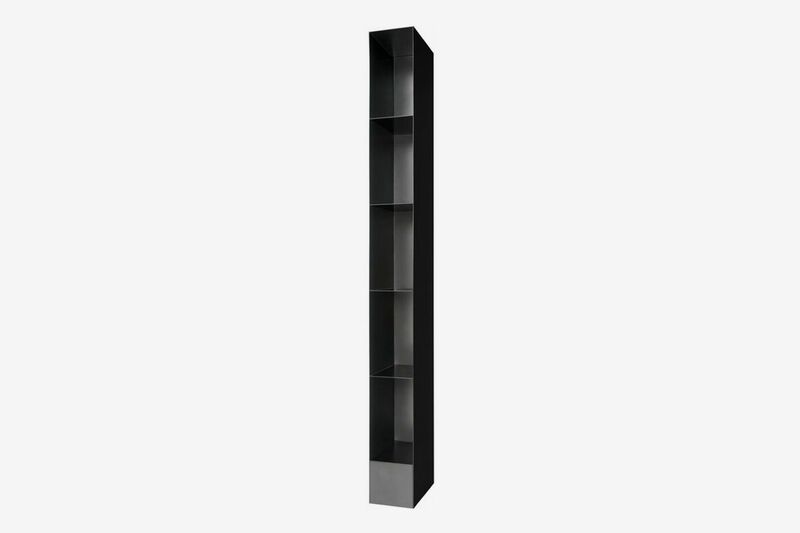 Another stylish option for a tall, skinny bookshelf is this model from Design Within Reach. 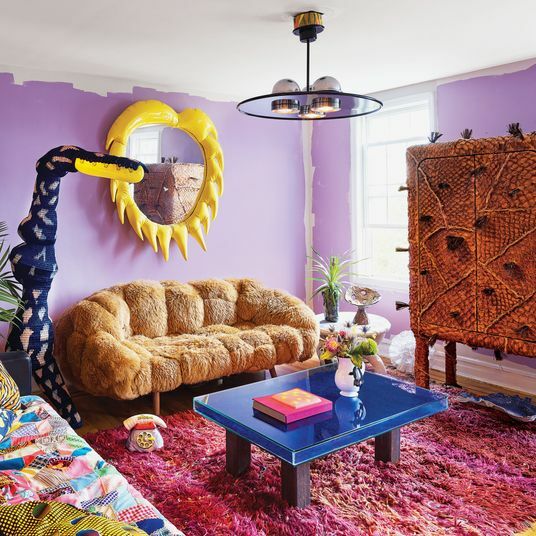 “The amount of space it takes up on the floor is basically the size of one big book, and then it just towers up, with super-skinny little shelves, and the shelves aren’t even wasting any space,” Zaslow explains. 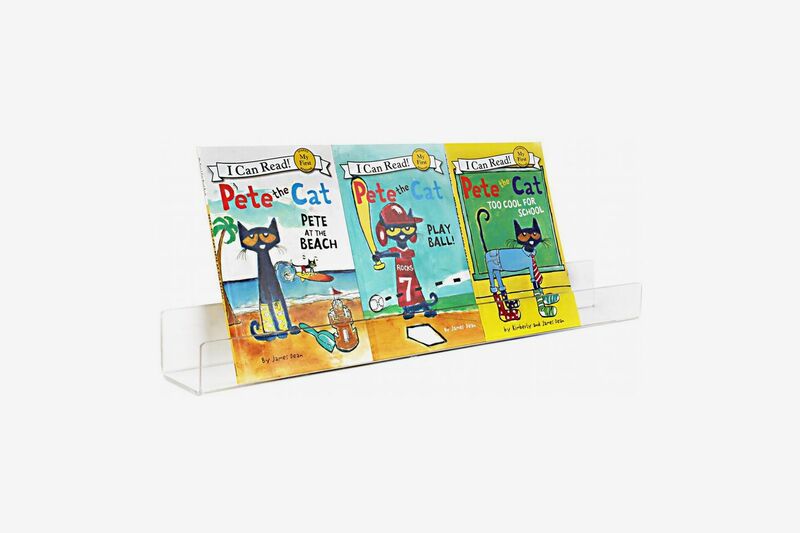 And even though the books are technically stacked on each shelf, they’re still accessible. 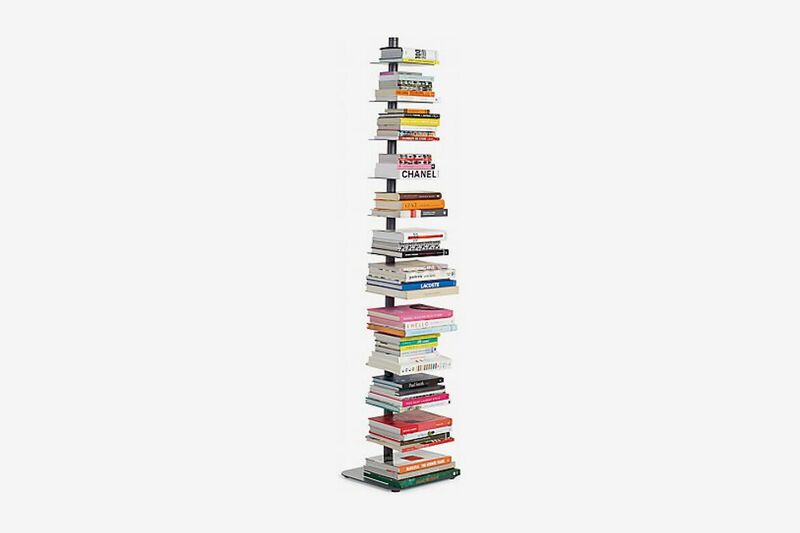 “If you have it all full, it just looks like this perfect stack of books, but there’s shelves supporting them, so you can pull out the books and you don’t have to worry about it toppling over,” she says. 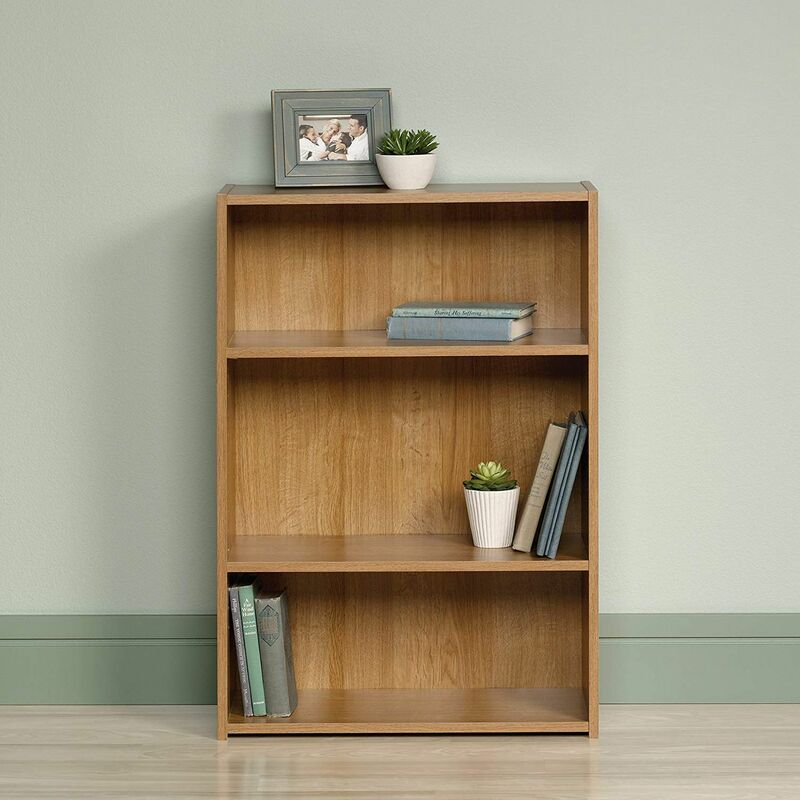 Cattano also recommends the Story Bookcase from DWR, but as she notes, “This bookshelf has been knocked off so many times that you don’t have to get the Design Within Reach version.” We particularly like this metal one, sold on Wayfair, for about half the price of the original. 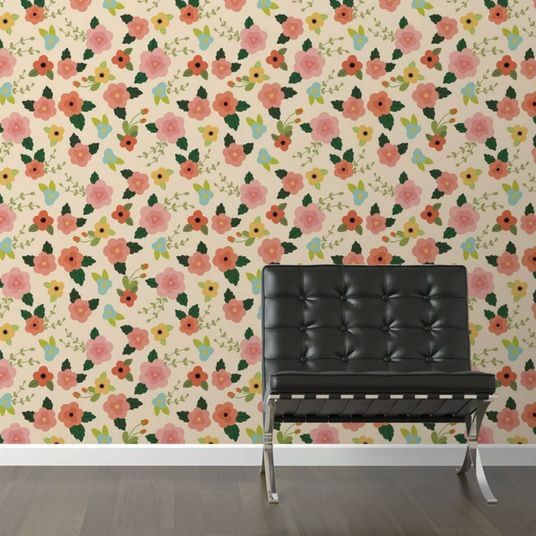 If you don’t want to mount things on your walls or go high on the ceiling, both Cattano and Zaslow recommend going low and long. 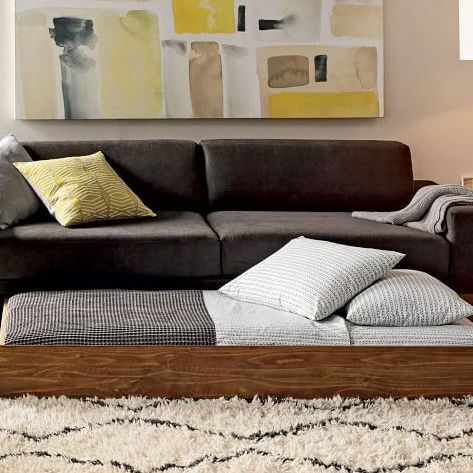 “A lot of times, people don’t have room for a bookcase because they have windows,” says Zaslow. 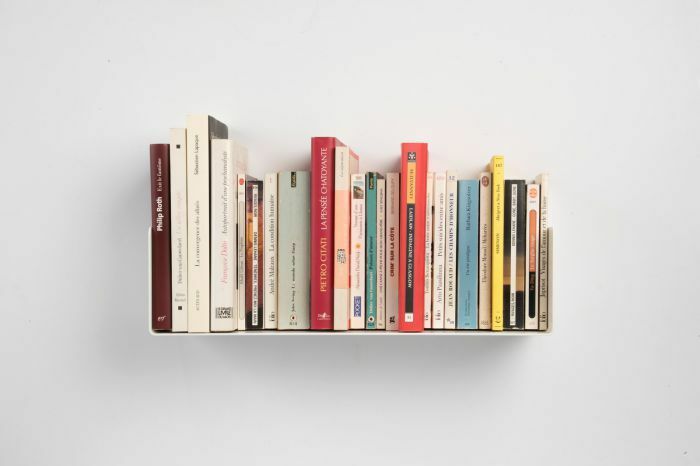 “As much as you love books, you’re not going to put your books in front of a window, but another option is just a short bookcase” that will fit underneath a windowsill.